Was established in 1993 as a representative for Colombia of Flender from Germany, company specialized in manufacturing gearboxes, motors, electric motors and mechanical couplings to the highest industry standards and global presence. In 2005 Siemens acquired Flender, whose products become part of the portfolio of Siemens worldwide, since then AGP representations is a distributor of Siemens of its wide range of products for mechanical power transmission in the territory of Colombia and the Caribbean. A.G.P. Representations S.A.S. 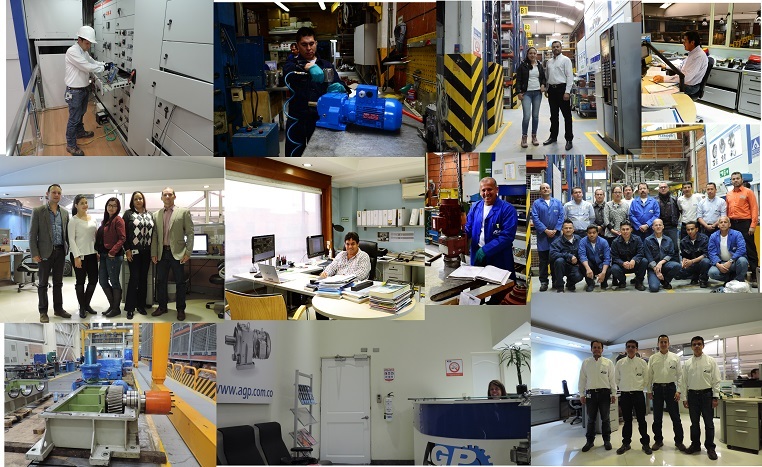 Is a leader in the Colombian industry recognized as a supplier of equipment for mechanical power transmission in industrial sectors, electronic speed drives, braking systems, electric motors, and other equipment make up a broad portfolio of products and solutions for our customers. Our guarantee is the quality of our products and excellent service and support to our customers. We are importers and distributors for Colombia of the most prestigious firms manufacturers for power transmission. A.G.P. Representations S.A.S. We are a leader in the marketing, import and export, assembly and support equipment Mechanical Power Transmission and Industrial Automation sector. We have excellent quality products and trained, responsible and committed personnel to providing comprehensive solutions that meet the needs of our clients. A.G.P. Representations S.A.S. want to consolidate national and international level in 2015 as a leading and reliable supply of power transmission equipment, automation and service provider.